Balanced on the razor edge between parody and the real thing, Teddy Chan’s Kung Fu Killer combines two B-movie pleasures—the rote serial killer procedural and the wire-assisted kung fu stunt—into a flurry of snapped elbows, shattering furniture, and ba-dunk sound effects. 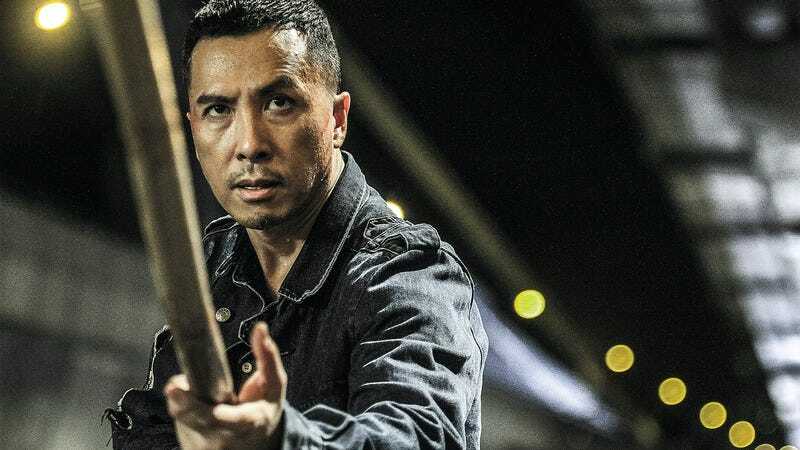 A maniac with a club foot is offing martial-arts experts, and the only man who can catch him is kung fu teacher Hahou Mo (Donnie Yen), presently in the Hong Kong pen for manslaughter. Cue that gem of a title, best said out loud as though punctuated: Kung. Fu. Killer. 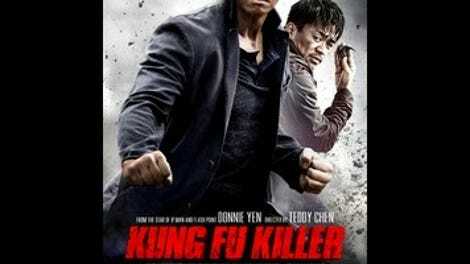 Kung Fu Killer’s plot is a race to the next fight set piece, be it in the bones of a giant-sized exhibit of the human skeleton, on an action movie set, or along the painted lane markings of a busy road, where thundering big-rigs create a narrow alley of movement until the combatants roll under a passing truck and commence duking it out as undercarriages fly by overhead. The latter effect is surreally unconvincing and yet somehow cool, because, like the sublime leaps of wirework, it suggests a reality of pure action that has no use for real-world rules. In Kung Fu Killer’s best moments, Chan and Yen—who oversaw the fights—use the camera like a stuntman on wires; it leaps, snaps, swings, and floats down to ground level in graceful arcs. Here, in this entertaining, preposterous goof of a kung fu movie, are all those values missing from the mainstream of American action filmmaking, not the least of which is a sense of the camera as a participant in the action, sometimes moving in counterpoint to exaggerate stunts. Warped by wide-angle lenses, space becomes a participant, too. It’s that unique legacy of the Hong Kong style: The impression that everything on screen—from the walls and floorboards to long sections of piping that will become improvised weapons—is in a complex and unpredictable dance.